Why one huge arrest, rather than a bunch of smaller ones? “It’s a statement,” says Jim Wedick, a former FBI agent. “They wanted to say, ‘You know what? We are back in town.’ ” Since 2001, the FBI has shifted its resources away from traditional crime-fighting toward counterterrorism. Thursday’s bust is a message from the Department of Justice to organized crime: We haven’t forgotten about you. A message certainly was sent yesterday. By using this large-scale investigation Beam writes that you can encourage individuals to cooperate, informants are almost assured if you arrest a large enough group, and a powerful message is sent. Yet the events in the wake of the Cerberus investigation are sobering. Do law enforcement officials need to weigh the severity of their actions? Or do individuals who break the law earn the hardships which can sometimes emerge. 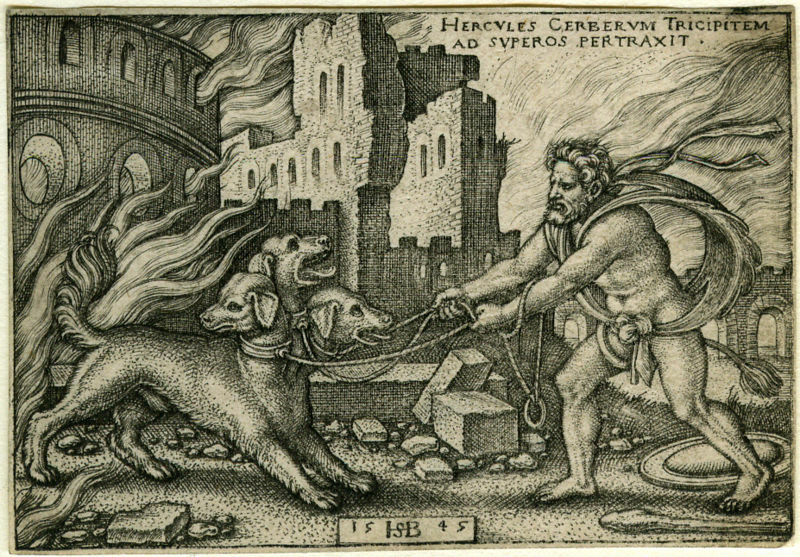 Cerberus was the frightening three-headed dog that guarded the underworld. The beast prevented souls from crossing into or out of the Hades’ dominion. A sad irony then that three suicides emerged from the investigation. The undercover informant who set much of the investigation into motion, and two of the individuals indicted. Antiquities looters have almost certainly changed their behavior. Whether the investigation drove them further underground or caused them to cease the looting remains to be seen. One hopes they have ceased looting of sites, but until the demand for black market antiquities is erased, there will sadly be people willing to risk arrest. Investigators worked very hard to make this case, and agents work tirelessly to police these sites, yet until the demand is eliminated, will these investigations continue? Christopher Beam, FBI Mafia Arrests: The rise of the superindictment. Slate (2011), http://www.slate.com/id/2281894/?from=rss (last visited Jan 21, 2011). And how will the demand be eliminated? When we have a sense of moral responsibility for art and antiquities? I could even stretch the idea as far as teaching more appreciation of art and cultural heritage in schools. How many people rally know or care about these thefts of culture?